All sizes available, except M! 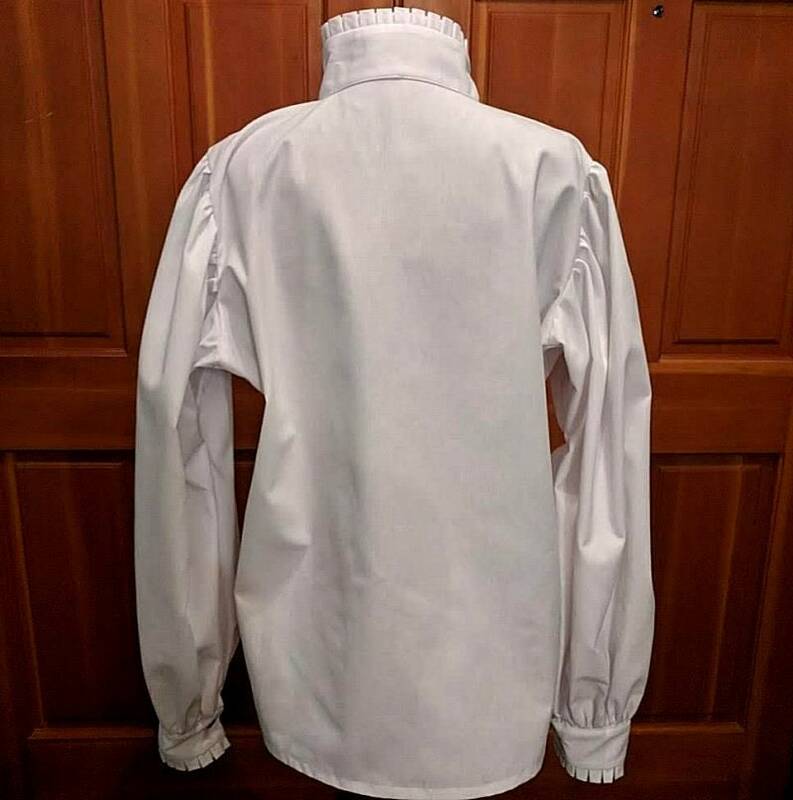 This white sports cloth shirt is to be worn with the Basic Sleeveless Doublet (RC1A) or Specialty Fabric Doublets/Jerkins (or equivalent) to make it list legal for SCA rapier. 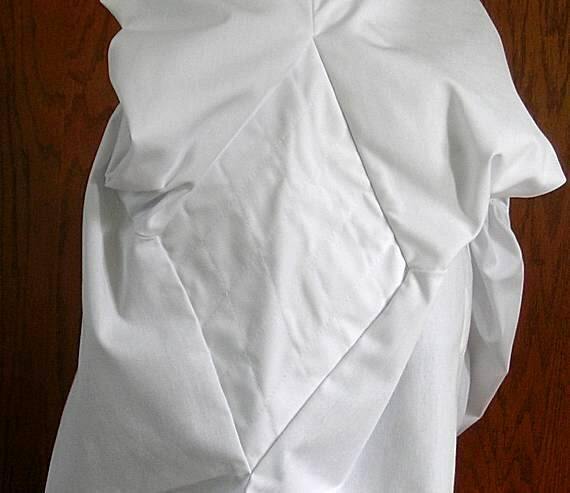 It has double sewn seams and 4 layers of fabric in a quilted underarm gusset. 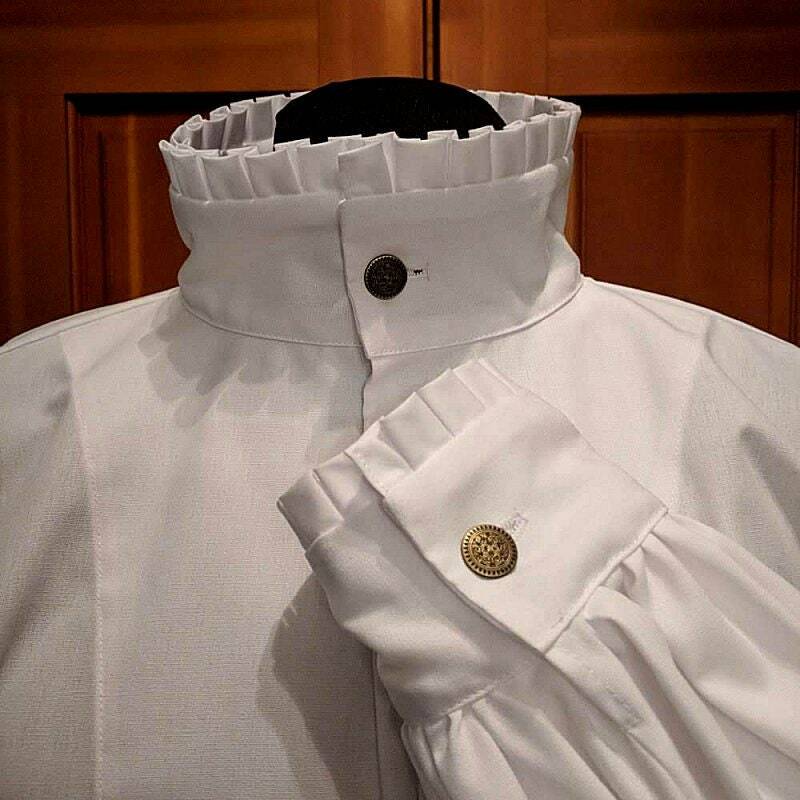 The collar and cuffs have 5/8" box pleated edges. 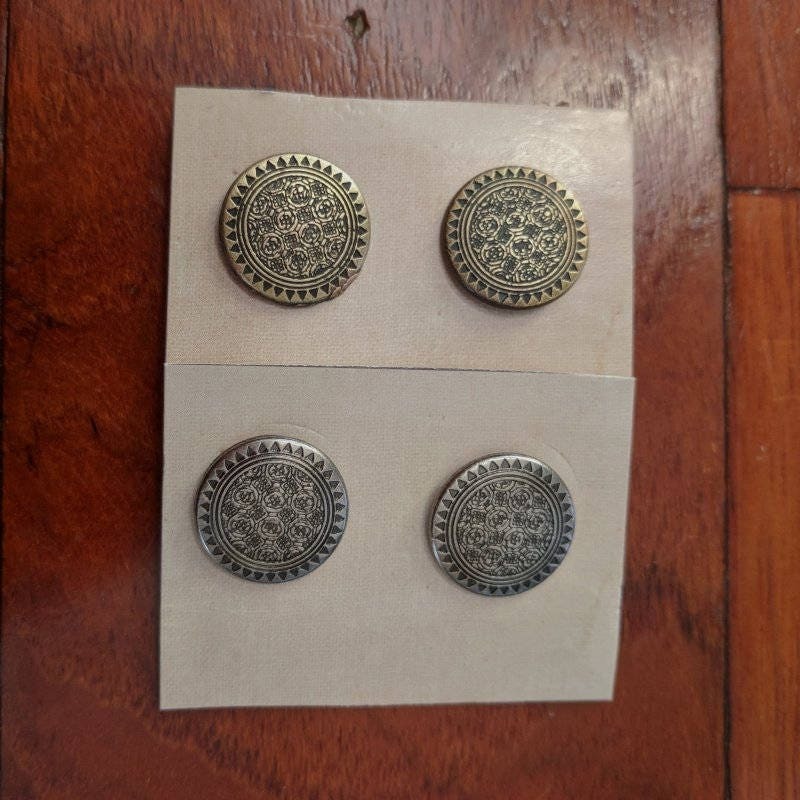 These stock ones have metal buttons and buttonholes. In some cases, you may be able to chose silver or gold, if the shirt doesn't already have buttons (see last pic). Made in the USA by us from our patterns! 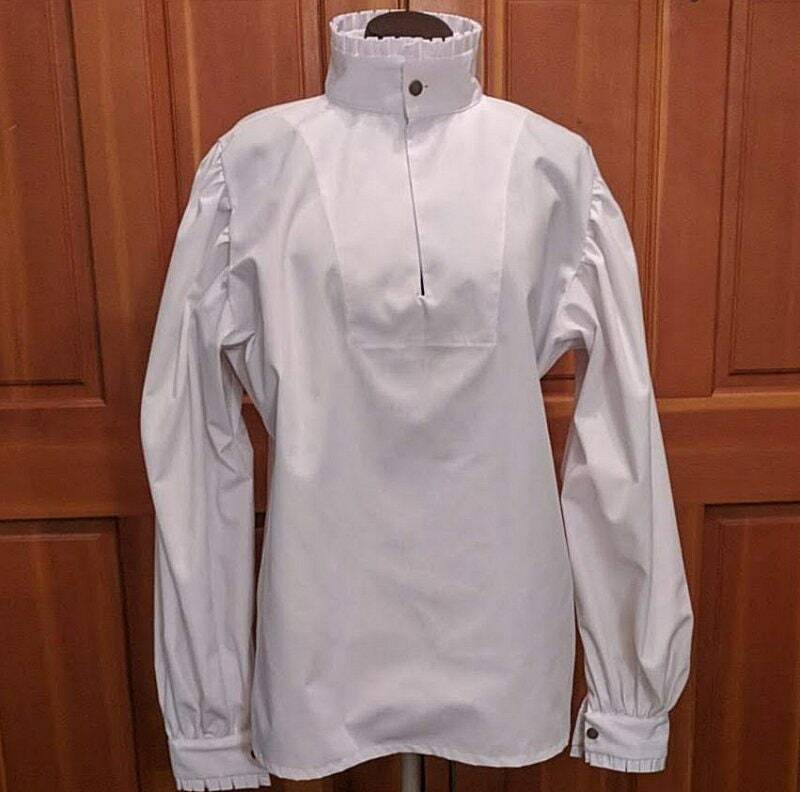 Since this shirt is part of your rapier armor layers, an 8x8" fabric sample will be sent to add to your other armor for punch testing or drop testing. We ship via USPS Priority Mail - Insured for safety and so that you will receive your package in 2-3 days once it is posted, plus you can track its progress on-line. We have all sizes in other shirts with different collars and cuffs. Check the other "In Stock!" listings in this section for availability. 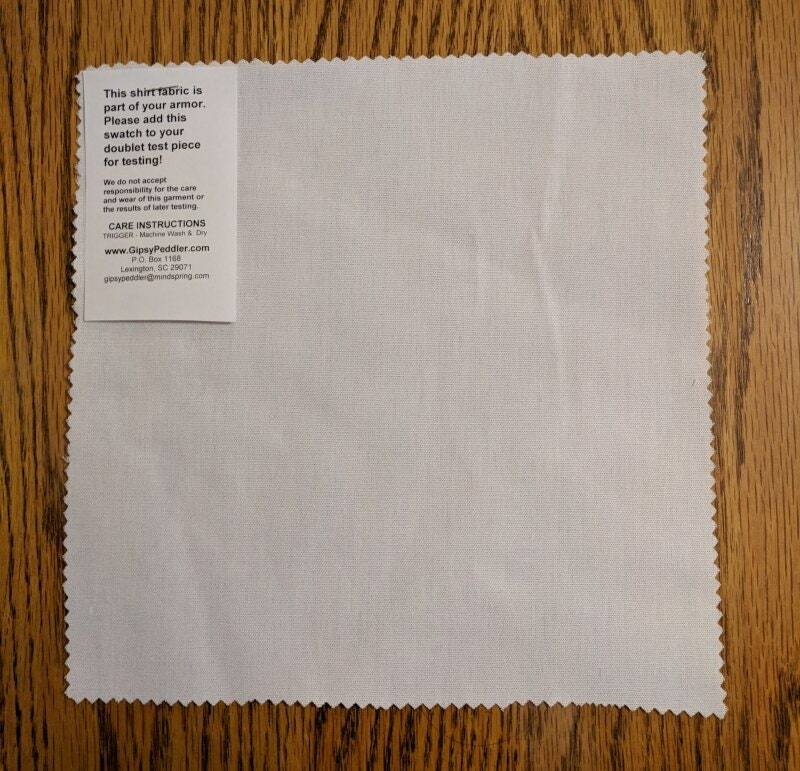 Your can order sleeves that are not as wide and shorter in length at no extra cost. Also, If the measurements are right for you except the hips, we can make a shirt with side slits to accommodate that issue but it will have to be put on the production schedule. Convo us, if interested. SMALL - Garment measures 42" around but the gussets give extra room in the chest area. Your hips, waist or girth should not be more than 38"; the chest can be a few inches more and still fit properly. The sleeves (nape to wrist) measure 32" long which will fit most people that wear a small or medium modern size shirt. MEDIUM - Garment measures 46" around but the gussets give extra room in the chest area. Your hips, waist or girth should not be more than 42"; the chest can be a few inches more and still fit properly. LARGE - Garment measures 50" around but the gussets give extra room in the chest area. Your hips, waist or girth should not be more than 46"; the chest can be a few inches more and still fit properly. XL - Garment measures 54" around but the gussets give extra room in the chest area. Your hips, waist or girth should not be more than 50"; the chest can be a few inches more and still fit properly. 2X - Garment measures 58" around but the gussets give extra room in the chest area. Your hips, waist or girth should not be more than 54"; the chest can be a few inches more and still fit properly. I love how this shirt fits. Palace Gallery does wonderful work. Great customer service and quick shipping. Totally perfect! Excellent customer service!